Pictured above is a model of the psyche that I saw in Joseph Campbell’s Mythos series, a recording of his lectures about mythology and folklore. Campbell based this model on the work of pioneer psychotherapist C.G. Jung, who studied dreams and concluded that they generated symbols. These symbols could be deciphered to reveal the workings of the mind, the shape of a worldview, and the driving force behind a motivation. Many of the concepts are illustrated above. The circle represents the mind. The ego, which carries a stigma of arrogance or unfocused narrow-mindedness, is merely (in much of philosophy) the standpoint of existence and being. That cannot be dissolved, and it would be unhealthy to even try to dissolve it. Within this model, that state of being is served by the self in the center of the circle, acting as the spoke of the wheel of all personal experience. The ego, also within this model, is the function of structure and reasoning, which isn’t a bad thing because many of us must still function well within social constructs. By that last bit, I mean that I would not make any sense. Even the nonsense to demonstrate that idea makes too much sense to truly demonstrate what making no sense would be. On the line connecting the self to the outside world are projections. These are distortions in how we relate to the outside world. 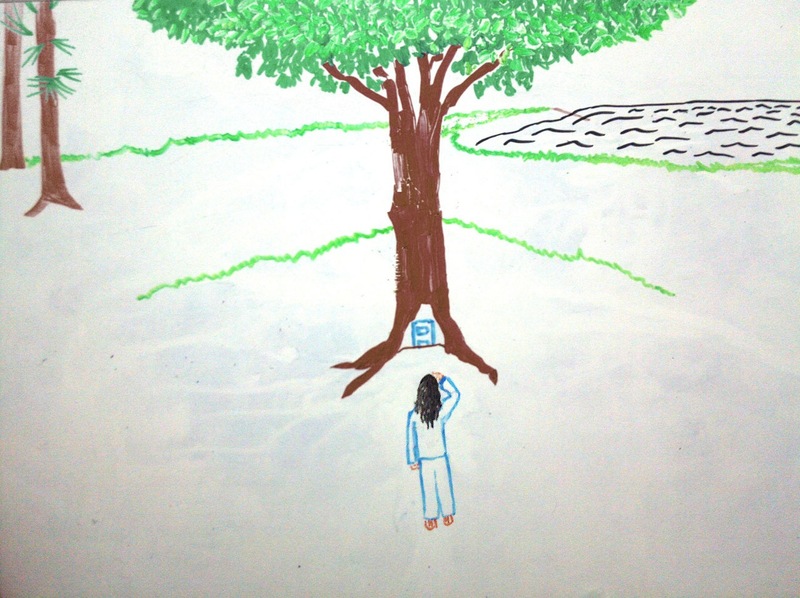 The real world is represented by the tree, the stick figures of people, and some four-legged perky-eared animal. The projection of the mind is represented by a swirly bracket. Projections are not reality, and might even be defined by how far off from reality these projections can be. At the same time, everybody generates projections. I think of it as, when our sub-conscious has absorbed enough information to form a conviction about something, then that overflows into the real world. This can be demonstrated through thematic apperception tests, where a single drawing of people or characters in action can be interpreted in a myriad of ways depending on the beholder’s personal biases. This process differs from the ego which takes information and categorizes it in a reasoning process, generating opinions rather than convictions. The distinction I make is how the components of an opinion are often considered and examined whereas the sub-conscious mind does not naturally invite such examination, forming convictions that are not thought but felt—if they are even noticed at all, usually being taken for granted as true. In the Mythos lecture, Campbell did allow for the possibility of clarifying the distortion and coming to terms with reality—This is not, then, to be taken as an impossible goal or even an inhuman one. Within this model, too, the causes of projections can be mapped, which Campbell referred to as systems. These systems are called the shadow, anima and animus—and, emphatically, these systems were set into motion by the initial experiences of reality that conditioned us. I plan to write a lot more about working through these systems of the sub-conscious, because there is a lot more. Basically, though, The Shadow is everything that we were taught and conditioned not to be…but we are that, anyway. 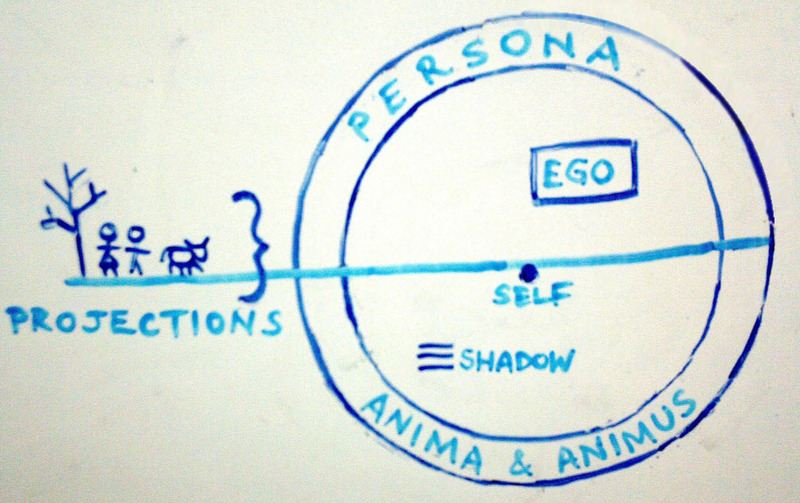 The Anima and Animus are systems for how we relate to or interact with other people. Finally, the persona is how a person represents their self to the world. This persona can be so different from the rest of the self and psyche that it’s basically living the pretentious and manipulative lie of a fake faker who fakes things. Or, this persona can be so closely-identified with that the result can be a person who is sincere, but too shallow to be authentic, or perhaps any harm to reputation or legacy would devastate them emotionally and steal their life purpose away. A persona can be disregarded entirely, and such individuals can be profoundly damaged in their attempt at raw honesty with a world that would misunderstand them anyway, and/or be unable to function in society because they’d go naked to a black-tie-ballgown party if the weather were too warm for clothing. A healthier compromise would be the ability to change the persona when the situation calls for it. Whatever its characteristics, a persona is chosen and constructed: consciously taken on, or consciously rejected. Campbell’s model had more symbols layering the persona, representing societal pressures and influences, but for now I think this will do. This is how I understand the mind. Or maybe I misunderstand it. Notions can be expressed by experiences. At the same time, an experience is a constellation of notions. My understanding of this is difficult to explain in a way that makes sense. Let us grant an otherreal overlay on a world we have agreed to identify as reality. In this otherreal medium, I sense things that bypass my senses, that I can only describe by associating it with the sensory: chilly, velvety, the size of a hair ribbon, sustained like a note off a bowed string, with a heady quality similar to the smell and taste of anise, and billowing like a drop of ink in clear water. That’s the mystery that I grew up with. 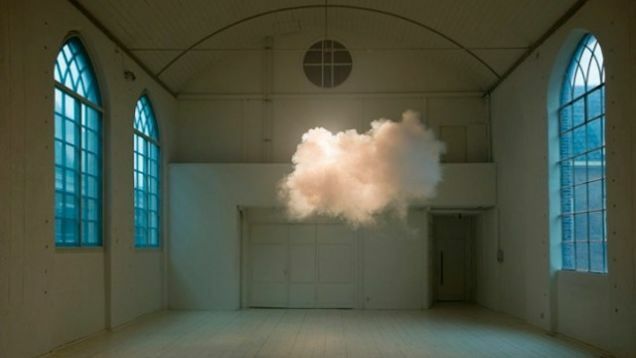 Everywhere, the billowing of billows of I-didn’t-know-what from I-never-figured-out-where. Some billows were warm as a naked flame. Some billows were silken, or coarse, or sticky. Some were massive as a storm. I can only grant some overlay of reality where these experiences take place, because these can’t be measured or experienced by most other people. (The ones who do, I can only take their word for it.) By my experience, though, these billows would occupy space and time, have a location, and shape. Maybe that’s my bias towards the temporal world at work, parsing and translating an experience before I can catch myself and decide to take what i experience as it really is. But I get around to doing the former, eventually, anyway. Similarly, I grant that a billow is both a constellation of notions, and a notion as a whole of itself. It was the writings of J.A. MacCulloch that drew my attention to the process of personification. In early thought everything was a person, in the loose meaning then possessed by personality, and (…) This led later to more complete personification, and the sun or earth divinity or spirit was more or less separated from the sun or earth themselves. So, it was one thing to associate anger with a natural disaster, and it can be considered a development of that same one thing to associate family drama of human-shaped forces of nature with a natural disaster. Billows can be associated with anything that occupies spacetime in reality: objects, events, and so on. Billows are manifestations of personal qualities which themselves form at a sub-conscious level. Should I encounter a billow as first described above, a melancholy one, and I would rather it not be present, then what I do is identify what I would want present instead: cheerfulness, for instance. I identify the billow as melancholy, I feel melancholy, and I conjure up a process in the present that I have done in the past: “cheering up”. I have identified that process as within my self, and the melancholy billow outside my self. I identify the notion of space-between-us, of my-cheering-up-process-occupies-spacetime outside my self, and constellate the latter with the notion of movement-towards-target. Perhaps I anchor it in reality with the act of laughter. This can be experienced as the creation of yet another billow. As a result, the notions of the billows undergo a transformation, and my experience of that first melancholy billow is that it has perished. I must note that not all otherreal or surreal experiences invite such conscious manipulation so easily. They are, I believe, sub-consciously generated (whether that is a personal sub-conscious or a speculative “collective sub-conscious”), and the process I describe merely serves to bridge the conscious and the sub-conscious. An absolutely conscious process has no such effect, and many similar manifestations of the subconscious can have surprising effects. So, we’ve established a turnkey between sensing and activating. To activate more reliably or effectively, though, there are a number of methods, and one of these is the creation of a sigil, whether as a billow or a character. In one sigil-making method, the first step would be writing the statement of the intention, and then combining the lines and curves of the letters until it no longer resembles an ordinary sentence that anybody can read. 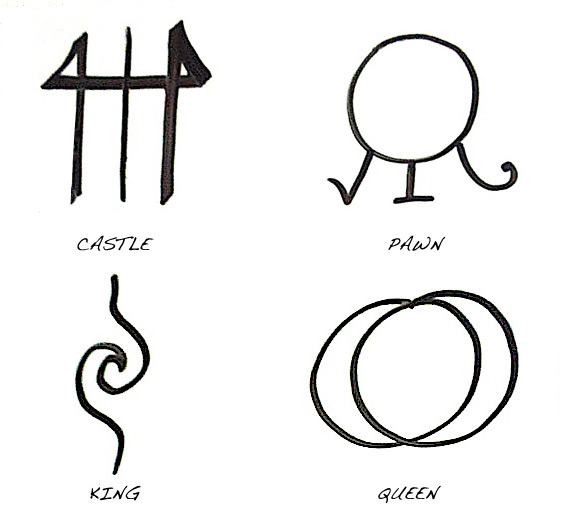 The sigil-crafter’s sub-conscious knowledge of this sigil’s origins fixes the notion to that finished symbol. Another, more complicated, way involves a template of Arabic numerals and a code key relating the characters in the Latin alphabet to those numerals. The notion associated with the planet with which the template is assigned, becomes the determiner of which template would be the most appropriate to use. I just doodle shapes that I like and follow what the notions associated with them, or I start with a notion and draw it in my own style and then try to sense what notions it would have (because it might not be the same notions that I started with). This is a protective sigil inspired by the idea that, when dealing with a billow that one did not generate from one’s own self, the notion of not being influenced by this strange billow can take the shape of a misdirecting warp rather than a wall. The “wings” of this sigil are meant to turn clockwise and anticlockwise to one another, moving against and then through each other. By my experience, the sigil above doesn’t protect the wielder from the pollution of particularly “loud” billows, but it does enough for common noise. It even developed some associations with other notions that I didn’t plan, for instance, that it generates a restorative notion, helping to sustain some mental stamina or emotional wherewithal. Made static as a character, I can also use it as a sort of tracker in the surreal world by putting the notion of what I desire to reach within the swirl at the center. It will then turn its point in the direction of what I seek using, I believe, the notion of “like belonging with likeness” and it is then operated by this “longing”. Complementary notions, that are not alike, can also be made to conjunct, so maybe this and its opposite requires deliberation instead of coasting on it as some natural law of the world. Above is another example. In my favorite mythology, the world is considered the result of three components: Sky, Earth, and Ocean. They all have notions associated with them, for example Ocean can represent death (even though the real world ocean is full of life and indeed might be the material source of life.) They can be realms, or elements, or whatever: three makes it complete. Personally, I like the notion of the number eight. It’s a lifetime of associations outside of the magic system in my favorite Discworld novels, plus that. So, I used to try to make unicursal octograms or eight-pointed stars, just for their own sake. When I wondered about the symbols I could use to activate that notion of Sky, I thought, “The sky has stars, even the sun is a star, I should draw a star…how many points should my star symbol have, though? What number is significant to me?” And I just dusted off that old sigil for a new use. 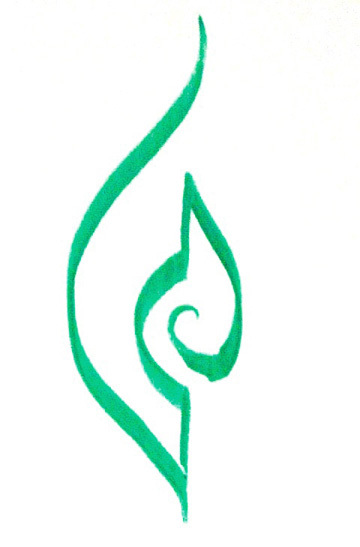 For Earth, because I’m a landlubber, I wanted a symbol that would evoke sturdiness. In the modern tradition of Chaos Magic, the most common symbol of that tradition is eight arrows extending from the center, to symbolize exploration in all directions of a Cartesian plane. I thought, “Huh, that’s not very chaotic. There should be an x-axis and a y-axis, and at least one other vertical line because ‘rise over run’ would mean that line divides by zero which is mathematically impossible. That’s chaotic.” Just as I prefer to protect myself with warps rather than shields as I demonstrated with the sigil above, so did I begin to use that symbol for protection against more persistent polluting notions than the swirling sigil could protect me from. When I wondered about the symbols I could use to activate the notion of Earth, my favorite protection symbol became the obvious choice to use. For Ocean, I was stuck for a while until inspiration eventually came to me that the Arabic numeral shape of eight resembled ocean waves. I just doubled it on itself for complexity, and now I have my sigil of Ocean. It’s held its own well enough compared to the other two, despite its simplicity. Above is a work in progress. I still haven’t been inspired to draw the sigils for Knight and Bishop, but once I do, then I’ll have my own functioning sort of “elemental system” of notions. Imagination is a mundane skill. Misplace any object, try not to misspell a word, and imagery manifests in the mind to help with those matters. There’s nothing out of the ordinary about it at all, so it can be perilous to attribute anything more to imagination than that because it’s a skill for us to use. This makes it all too easy to fall into a self-aggrandizing schism between our own world and the real world, without empirical evidence to show for the significance of our daydreams. Still, that’s what I developed, when far-fetched travels went nowhere and dreams resisted domestication. The otherreal billows could just have been thoughts. The otherreal characters were another think coming to me. This deliberately imagined scenario would dissipate, and the otherreal person would remain with the same clarity, as my own manipulation of my own experience had not interfered one bit. I considered this troubling because this clearly-formed person in the otherreal was unpleasant, and of course nobody else could sense it. Shifting my attention to the real world all the time was a far more arduous process than it should be, but after a few weeks I found a state to mind to shift into where the presence became more intermittent, and less vivid. From that, I learned familiarity with the experience of an otherworld aspect out of control. This came uninvited; in future meditations, I would invite some out-of-control aspects because I intuited that they were, in their own way, “true” and worthy of consideration. As I write of that experience, I can remember the features of this otherreal presence, which is to say that I can bring it to mind. It’s in my mind, but that’s not the same experience that I described above. I could even deliberately imagine it and it wouldn’t take a life of its own and last. The difference might be subtle, but I’m certain that there is one. Maybe. Going through the steps isn’t something that I usually catch. I just do it. The wrinkles deepen into warps, still metaphorically speaking. Things appear that I didn’t expect, which would be fine if it all haphazardly worked out achieving what I had planned to do. The sandoricum tree, I recognized from my grade school campus. The land around it was that of my mother’s friend’s summer house: the clay depression of the lake that had the clearest waters I’d ever seen, the grassy meadow…I hadn’t the foggiest clue where the pine trees came from, though. The meditation had been splendid, with well-paced guidance through physical relaxation, and then having the prospective “past-life regressant” truly feel their age by talking about the oldness of the natural world. 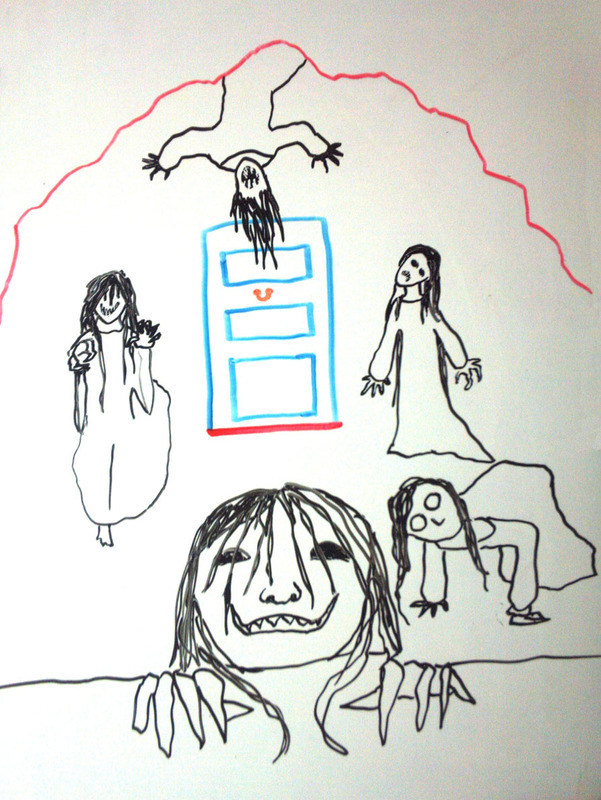 …Or a horde of frighteningly creepy beings that the meditation didn’t mention, because that wasn’t supposed to happen. Technically, this may have been the first of what I now like to call “quests”: set out with imagination and yet liminal enough to invite something psychic. Because this had been so unpleasant, though, I just thought, “Uhh…never mind…” and didn’t try again for a long while. I didn’t know what I was supposed to do with this experience, if it didn’t do what it was supposed to. That is, however, neither here nor there when we consider the Otherworld. The dramatic and instructional narratives of a story play out within the framing or setting of an otherworld. The Classical Greek philosopher Plato so loved the otherworld that the adoption of his teachings would set back the material sciences in the Western world for hundreds of years. What we agree to classify as the real world is, in the way that most of us understand it best, projected in one’s mind through the physical senses. This simulacrum can be considered and treated as one with the real world, a common opinion that is good enough for me…until I have experiences not shared by other people. This is inevitable. I have the ability of physical sight, but somebody else might not see the same colors, or might be able to see further than I with more clarity, because of the way that my eyes are constructed: the condition of the lenses, the muscles that adjust the lenses to project light into the retina, the cones and rods in the retina, are all slightly different for everyone. The same goes for taste buds, and nerve endings. The construction of our body creates different experiences. Also considering a more social than material context, still in the real world, but I would have at least a different interpretation of my experiences depending on where and how I balance privilege and oppression in the kyriarchy. Those are not the otherworlds that I’m going to focus on, however. Maybe it’s some undiagnosed medical condition that I have: synaesthesia, or schizoaffective disorder. While I say that these are both projections, and one superimposed upon the other, I must say that they often have a different enough quality that I can still function and compartmentalize how I deal with the real…and how I deal with this interference, which I call the otherreal. It’s like the cresting and breaking of a wave, whereby the waters are the notions of my psyche. That’s the reasoning that I’ve accepted, of how this happens to me. It might sound more authentic to sustain passivity, but once these otherreal experiences had become familiar enough, I intuited a turnkey where I can deliberately, consciously, manipulate this experience. The effect is negotiable. Other times, these projections are not superimposed on reality but are a complete experience themselves. I remember my dreams, grant them enough significance to write them down. I can even manage a lucid dream on occasion, which is a usually harmless sleep disorder characterized by memory and reasoning retention in a dream. I have cultivated my imagination for daydreams, or what I call quests. Imagination can be a very mundane skill. I don’t know about the neuroscience of this yet, but imagination and memory can feel very distinct from one another even if latter is misremembered. By similar degree would I make the distinction between daydreaming of my own contrivance that panders to my own conceitedness and the daydreaming that results from the swelling again of the tides of my psyche, washing ashore treasures of deep significance. This otherworld, I call the surreal. At some point, the labels didn’t matter. In order to function properly in the material and social reality to which I most often and most sustainably default, I take on this worldview of “reality and everything else”. Sometimes the surreal and the otherreal bleed into each other. Dreams become otherreality, via memory, working magix as if it were wishcraft. I used to suffer from sleep paralysis, also known as Rapid Eye Movement atonia, which is a sleep disorder opposite to sleepwalking: the body is paralyzed, as is natural for a sleep phase, but the mind is awake (the experience is similar to waking interference by the otherreal.) I also used to be able to initiate experiences where I move through what appears to be reality only I have no experience of my physical body that is usually the requirement. I know not whether to name that world otherreal or surreal. This could demonstrate how much easier it is to do than to explain. Explanations must make sense, but truth (as it imposes itself upon experience) isn’t obliged to follow any such structure. Otherworlds aren’t a fact, they are placeholders to help make sense of an experience. Aspects of these experience, such as the concepts of space, time, events, items, and other characters…these are notions associated, or as I like to say “constellated” into the interpretation of an otherworld. I never get anywhere when I try to stay below the basics like that, though, so I just take the otherworld as a given.